At Chance Transmissions, Inc., integrity is number one. Our mission is to serve our customers with respect, and to deliver a high quality product. We accomplish this goal with our qualified technicians who have the training, knowledge, and experience to repair your vehicle right the first time. Our standard warranty is 24M/24K parts and labor on installs and 12M/12K parts only on carry out transmissions. If there is a problem, it takes priority and we get you back on the road fast. We specialize in late model computer-controlled cars and trucks, import or domestic. We rebuild or repair manual transmissions, automatics, differentials, driveshafts, CV shafts, clutches, and transfer cases. 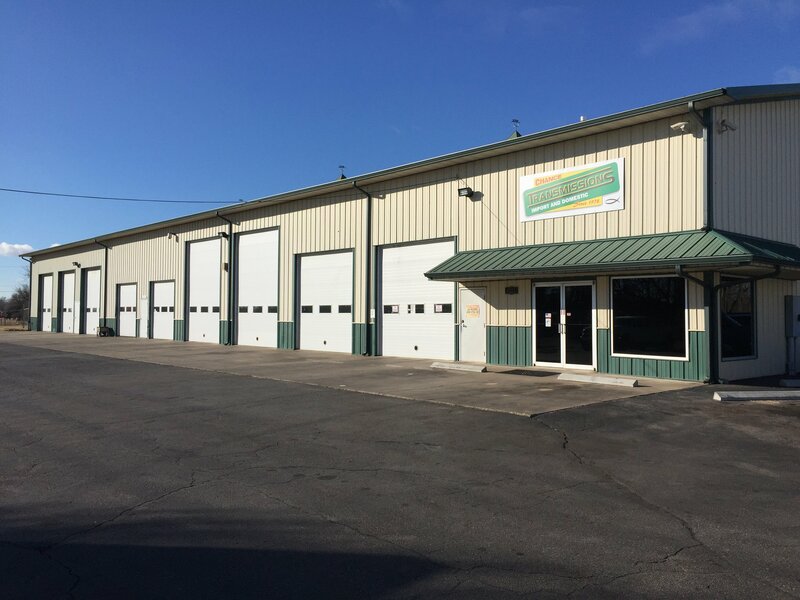 Our 10 bay, 10 lift shop is equipped with heavy duty lifts capable of lifting anything from low bearing cars to lifted trucks to motor homes! As ATSG and ATRA members, we stay up on the latest information and advancements in the transmission world. We keep up on the latest diagnostic tools so we can properly diagnose your vehicle, whether it’s a 4 speed or 10 speed automatic! 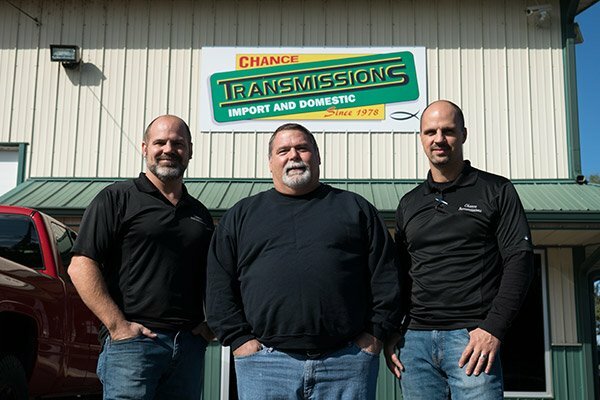 Chance Transmissions, Inc. is a Christian family-owned, transmission repair business that started in 1978. With over 40 years of transmission experience, you can rest assured that we have the knowledge and the know how to get your vehicle repaired correctly! Our employees work closely with each other to make sure your experience at our transmission shop is a good one. With over 300 transmissions in stock, we are able to remove and replace most domestic vehicles within 1 to 3 days! Contact Chance Transmissions today for a free estimate or to schedule an appointment for a free diagnostic! If it’s performance or heavy duty you’re looking for, then we’ve got you covered. We have a long history of experience in full drag race transmissions, Street/strip performance, and off-road performance. Got a street rod that needs an overdrive transmission to make it more highway friendly? We can help!